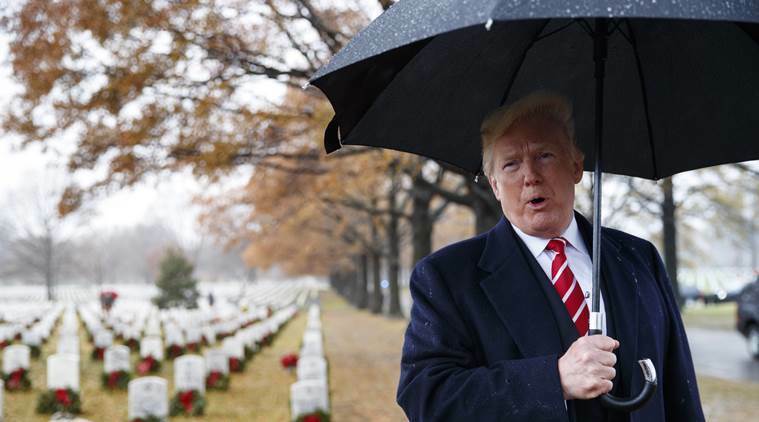 President Donald Trump’s demand for border wall funds hurled the federal government closer to a shutdown as House Republicans approved a package with his USD 5.7 billion request that is almost certain to be rejected by the Senate. “Now we find compromise,” House Majority Leader Kevin McCarthy, R-Calif., said. “We have time right now to get it done.” The government funding package, which includes nearly USD 8 billion in disaster aid for coastal hurricanes and California wildfires, now goes to the Senate, where its prospects are grim amid strong opposition from Democrats. Sixty votes are needed to approve the bill there. Many senators already left town for the holidays. The Senate approved a bipartisan bill late Wednesday to keep the government temporarily funded, with border security money at current levels, USD 1.3 billion, and no money for the wall. The House had been expected to vote on it Thursday. The most likely possibility Friday is that the Senate strips the border wall out of the bill but keeps the disaster funds and sends it back to the House. House lawmakers said they were being told to stay in town for more possible votes. With Pelosi’s backing, the Senate-passed bill likely has enough support for House approval with votes mostly from Democratic lawmakers, who are still the minority, and some Republicans. Others were not so sure. “I don’t see how we avoid a shutdown,” said retiring Rep. Dennis Ross, R-Fla. Rep. Mark Meadows, R-N.C., the chairman of the conservative Freedom Caucus, said he was not convinced after a White House meeting with GOP leaders that Trump would sign the Senate bill.